This extraordinary city palace from 1735 is located right in the heart of the 13 th century fortified city of Gorinchem, South-Holland, the Netherlands. 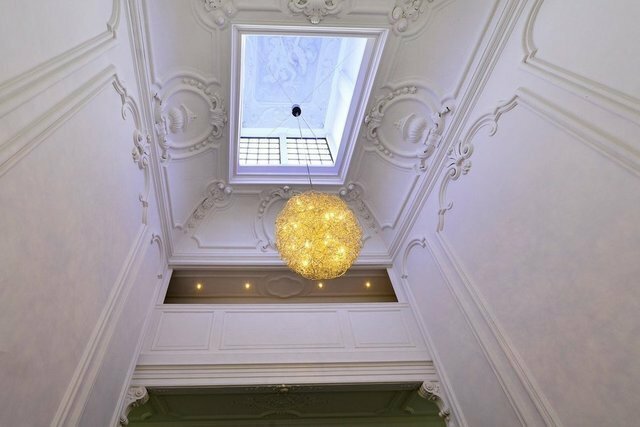 This beautifully restored property is part of the Dutch heritage and holds a rich history within its city. The city is surrounded by typical Dutch nature. Gorinchem has many facilities and lies perfectly in between important Dutch cities like The Hague, Rotterdam and Utrecht. Living in an old master like this is a unique opportunity. The truly unique staircase this property has, with its skylight and richly decorated stucco will impress and surprise everyone.